Kadam said that chopped trees had been found in the area where the fire erupted and there was suspicion that the incident could have been pre-planned. 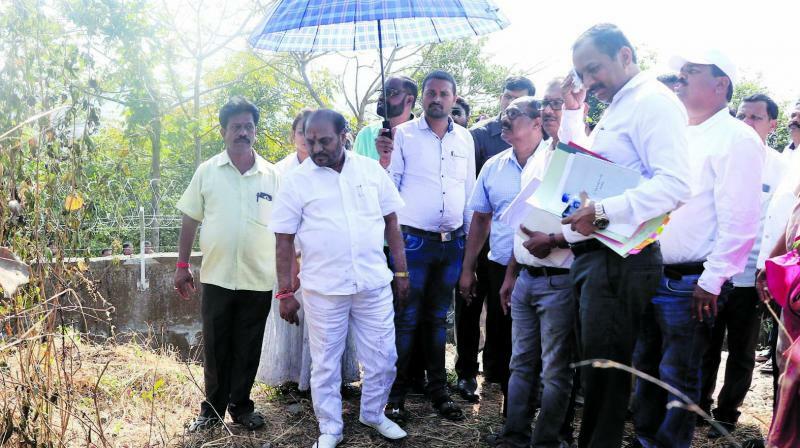 Mumbai: Environment minister Ramdas Kadam has demanded a probe into the massive fire which broke out near Aarey Colony forest in Goregaon. Mr Kadam told The Asian Age that he had written a letter to the home secretary in this connection. Meanwhile, sources in the home department said that the additional chief secretary of the home department, Sunil Porwal, had not received the letter so far. Mr Kadam alleged that there was a nexus between builders and land grabbers in the Aarey area. He visited the forest area of Aarey Colony on Thursday. He also said that before the fire broke out, the trees were cut and he asked for the reason behind felling the trees. Mr Kadam said that chopped trees had been found in the area where the fire erupted and there was suspicion that the incident could have been pre-planned. He also said that trees and shrubs on 150 to 200 acres of land had been charred. The whole area had been fenced with a wall so that no outsiders could enter. “So, the question arises how did this fire erupt? I also saw that trees had been purposely chopped off, after which, the fire either erupted by itself or there was some mischief," he said.